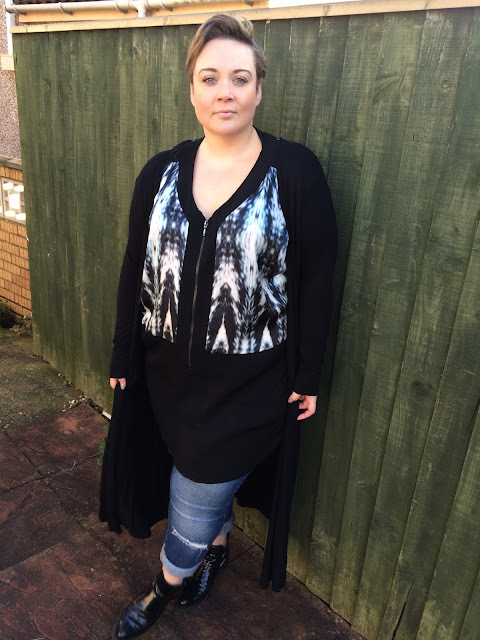 Live Unlimited is one of those stand out plus size brands for me. They do grown up, laid back chic really well but always with an edge. Em and I visited Sally and the team at their London offices a couple of months ago. For a complete fashion geek like me it's always amazing to see the design process, talk about fit and fabric and generally get to have a poke around. I love it haha! 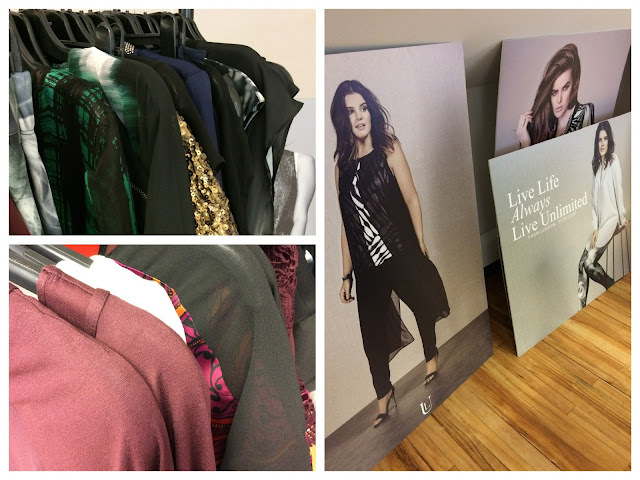 To save you from my terrible photography I've got some gorgeous shots of the AW15 range to share with you too. You can of course visit the Evans site if you want to see them in all their close up glory! 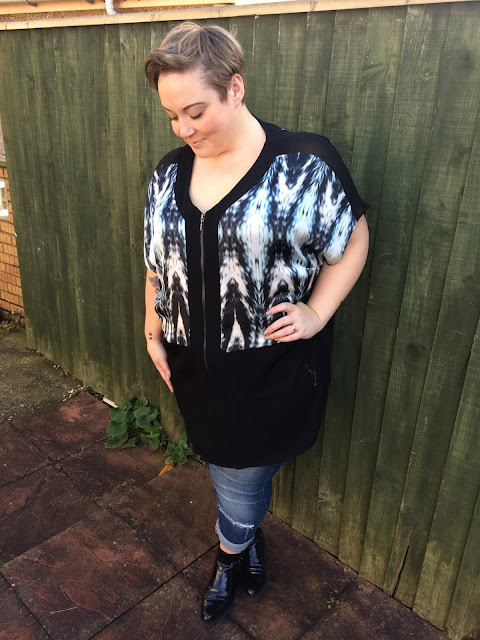 I was lucky enough to take a piece away with me that day and I've been meaning to blog it for ages, but as with all my Live Unlimited pieces I'm normally too busy wearing them and forget to get pics! This is the zip front top, which is currently 50% off! The quality as always, is just stunning, it has a good weight to it and is finished beautifully. I'm wearing it with jeans (of course) but it's going to look fab with leggings and if you're a smidge shorter than me (I'm 5'7") then you can wear this as a dress too. As with most woven items without stretch I sized up to a 24 and it's a great fit. I've got another item from Live Unlimited to share with you soon so keep your eyes peeled!